Since Debrup was a baby, I have tried to play the role of both parents in his life. I can’t even say that his father’s presence would have made things better for him. My 4-year-old baby has been suffering from when he was 4-months-old and his father has never been a part of our struggle. I worked in a private company in Delhi. My parents have stayed with me all these years. I had separated from my husband when my baby wasn’t even 1 year old. I have left no stone unturned to give the best of everything. Even in the 21st century, it is still difficult for a woman to be a single mother in India. The child is tormented since his childhood and mostly the mental peace of the child is at stake. Thinking about all of this, I thought to stay with my husband. My husband was an alcoholic. When I tried to talk to my mother-in-law about our issues, she told me that he is a man and is allowed to do so. 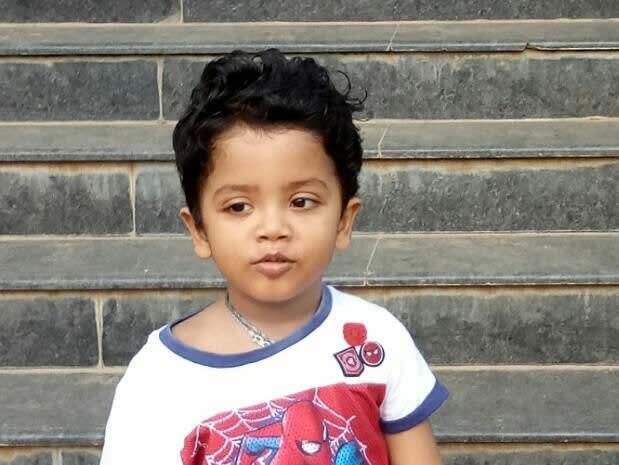 Debrup had thalassemia since he was just 4 months old. I was shocked when our son’s suffering didn’t make any difference to my husband’s habits. All he wanted was to drink. It was impossible for me to adjust with such a man who doesn’t even care about his own child. My baby started having regular blood transfusions when he was just a 4-months-old. His body had got accustomed to the painful process. In the early days, I thought this was going to be his life. But things started becoming worse when due to transfusions there was iron accumulation in his body. He started turning sick. 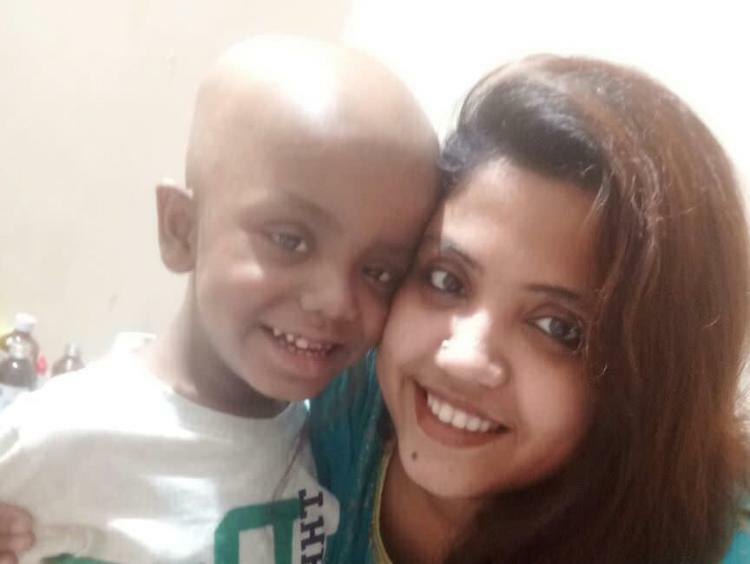 Doctors said that bone marrow transplant is the only way that can help him live. 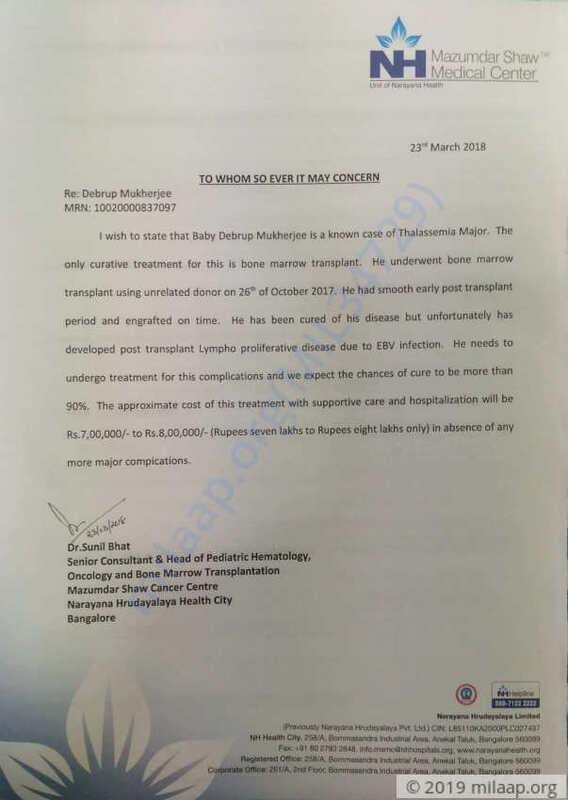 I single-handedly had to take the decision of moving from Delhi to Bangalore for my baby’s further treatment. I didn’t know how to deal with the situation. Also, my baby is so small and he is the only one I have to live for. I couldn’t sleep for nights with the thoughts that how would I live if something happens to him. 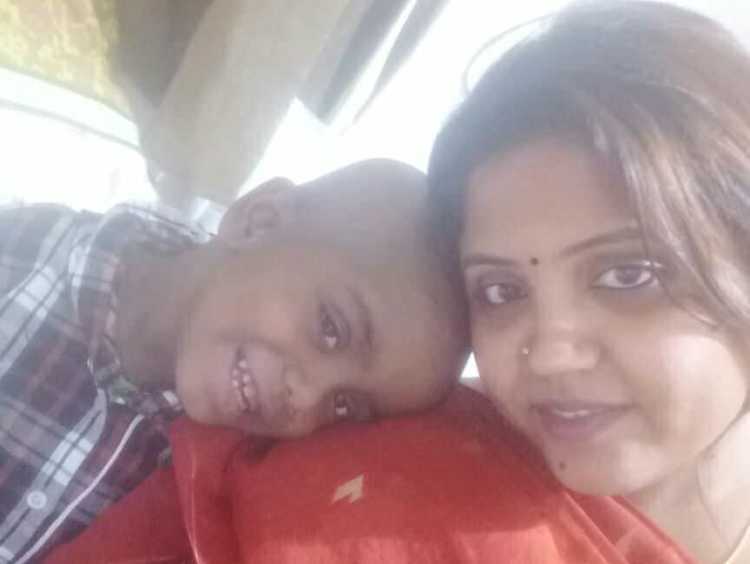 In last July, I left my job and moved to Bangalore with the hope that I would take my healthy baby back home. Just when I thought that I will believe everything would be fine, I got to know that I can’t be the donor for my baby’s bone marrow transplant. The external donors that we got hold of, failed, because they themselves were sick. I didn’t know what to do. But luckily we got a donor who was cent percent match for my baby. I can never thank the person enough for saving his life. I was so happy to know that it was a successful operation. I thought I will be able to take him back home soon and we will start our lives afresh. But it seemed that there were more thorns left on my path. After the transplant in last October, Debrup started falling sick from December again. Doctors said that this is due to post BMT infection. 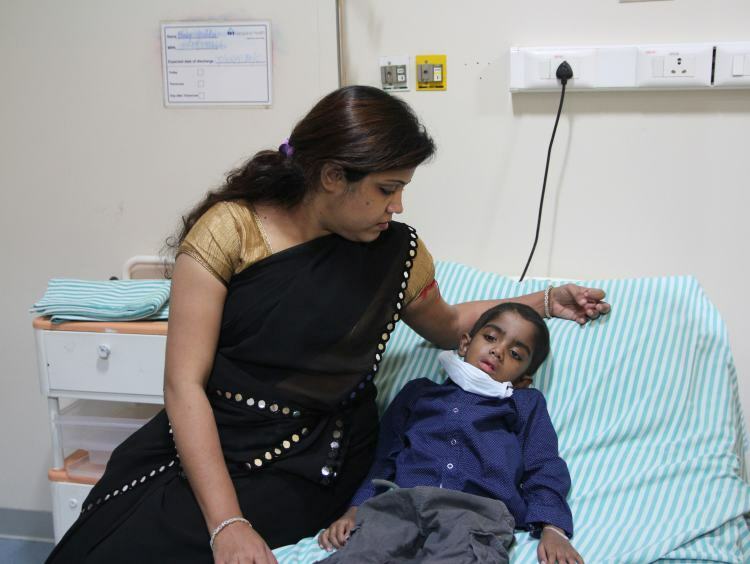 His struggle started with a viral fever. I had to admit him to the hospital again. Again In February, I had to admit him to the hospital due to a terrible mouth ulcer. I last admitted him last week where in just 6 days’ time, I spent Rs 1,10,000. My little baby is suffering a lot since forever. He is growing up without a father. When I brought him to Bangalore, I thought as a father he had the right to know. But he didn’t even bother to come more than once in almost 10 months. Debrup is more than 4 years now and he can’t even talk properly now. He just says a few words. He is going through all the pain which his little body is unable to take any more. Unlike other children of his age, Debrup has never behaved irritated because of the fact that he is locked in a room for months. He doesn’t complain or demand. He patiently listens to me. He is so small, but he seems to understand my struggle and has been by my side all through this. Also, he is such a lively child no one will ever understand by seeing him that he has been sick or has undergone so much pain. Since July, I have spent over Rs 35 Lacs. 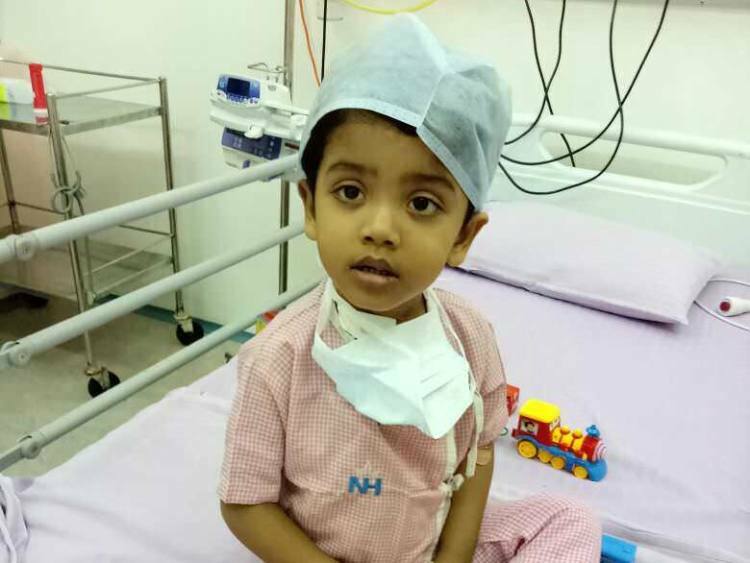 His transplant alone cost me Rs 29 Lacs. Whatever I had saved during the time I was working is all gone now. I am unable to work for 10 months now. My relatives had also helped me a little in the difficult times. But even that money has been used up entirely post the transplant. Donations have helped me sail through the transplant. My ex-husband doesn’t even bother to help me in these times. It still requires another 3 to 4 months for my little baby to live properly. If I can’t arrange the money to sail through this, Debrup will never get better and will succumb to his infections. After coming all this way ahead, I can’t see my baby die now. The struggle has not been easy for me. But I cannot fail as a dual parent. I want to see my baby grow into an amazing person. But that is only possible if I can save him. I have no money left now, but I don’t even have an option to give up. The amount needed to save my baby is Rs 8 Lacs which is impossible for me to arrange. Only your support can help me save my baby. Here's a quick update on Debrup's health. Debrup is going for his short chemotherapy. He is recovering slowly and is responding to the treatment. Here's a quick update on Debrup's health. Debrup is showing signs of improvement. She is getting her consultation and investigation done. We shall keep you posted on her progress. Here's a quick update on Debrup's health. Debrup is showing signs of improvement. 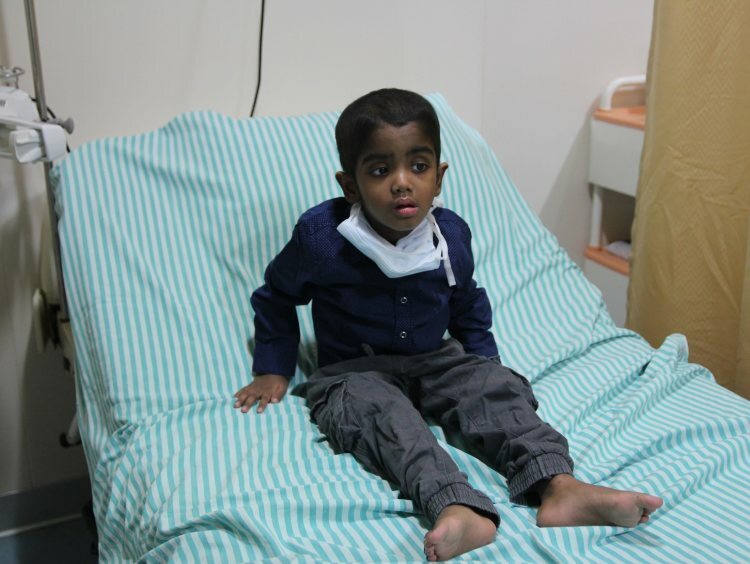 He visits hospital on monthly basis for blood tests and normal regular check ups.